A large variety of video sharing sites are there where you can upload and view as many as you want totally of your own choice. Some famous names in this respect are YouTube, Facebook, Dailymotion, Vimeo, etc. However, there are people who want to keep the videos seen on these sites with them. For this purpose they download them and see them whenever they want. So, today we bring an exciting review of one such video downloader software which is best in its performance. 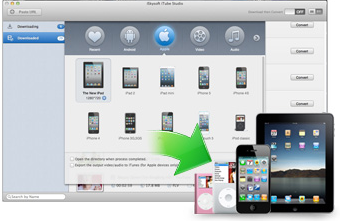 If you want to download videos from kind of websites mentioned above and convert the downloaded files to your favorite video or audio formats, then iSkysoft iTube Studio for Mac is the best choice for you. iSkysoft iTube Studio for Mac provide the users with the most easiest way of saving a videos from 100+ famous video sharing sites. Now in just a few clicks you can get the favorite videos of your choice and can enjoy them even if you are offline. 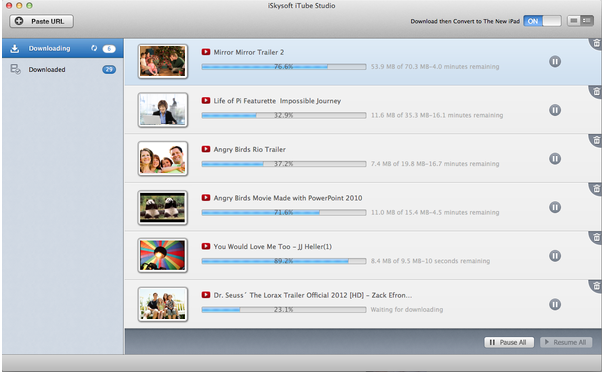 This software allows you to save best quality videos in HD by using any browser like Chrome, Safari, Firefox, etc. It also has the wonderful ability to convert the downloaded video to the format which may suit best to your device. 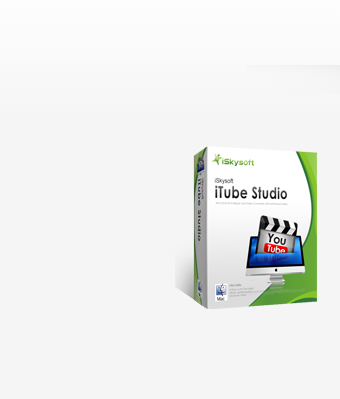 iSkysoft iTube Studio for Mac is a software which is very easy to download and can be used in a best possible way on Mac. Just in a single click you can download all videos in a YouTube channel, user page, playlist and category. Once your download is completed it automatically shut down your Mac. 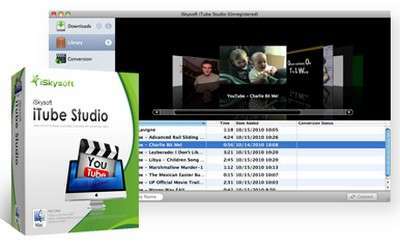 How to Use iSkysoft iTube Studio for Mac? Once you have installed this software a Download Button will start appearing on any of the video sharing site. Simply click on this button to start downloading. Not only this you can also use the Download All button to download all videos in a YouTube channel, user page, playlist and category. You can even download close captions from here. If you want to convert the downloaded video in one particular format then all you need to do is to activate the “Download then Convert” mode. This will download any further videos to the specified video or audio format of your choice. You can try out its trial version to see the wonders this software does. You can also buy its advanced version in just $29. This software is very efficient in working as it detects the video the moment it starts playing and starts the downloading process. It allows you to performs more than one task at a time as you can download and convert many videos at once at a fast rate. Once the video is downloaded then you can edit them as per your wish. It provides editing tools like Final Cut Pro and iMovie which allows you to create your own editing. You can enjoy your downloaded videos without issues like ads, loading and internet connection. To conclude it all downloading of videos is really a tiring task but after reading this review I am sure that iSkysoft iTube Studio for Mac[/do] has solved your problem. Now enjoy the experience of downloading videos and save as many as you want.